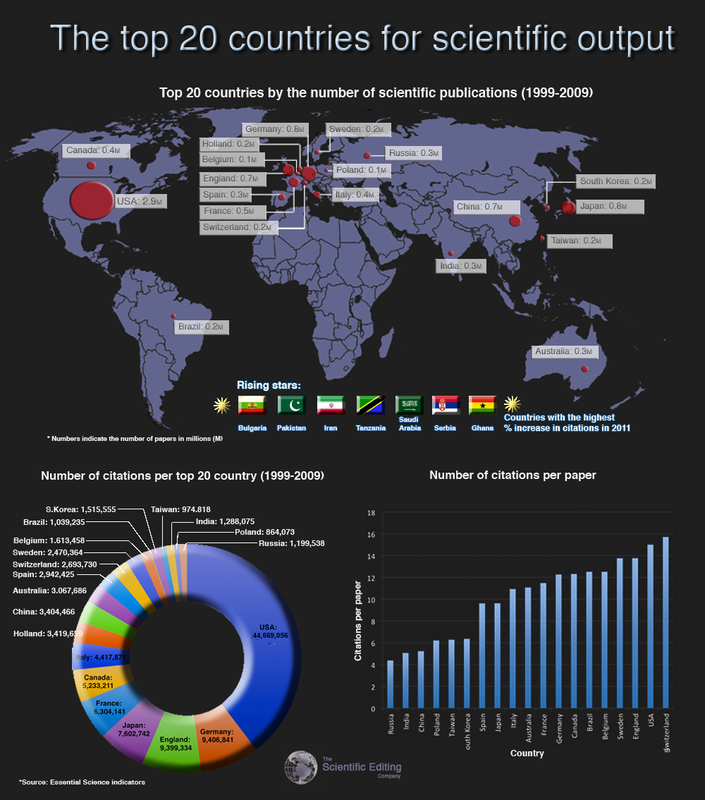 There are a number of reasons why some countries publish more than others but it is no real surprise that the USA produces the most scientific papers. Over the period 1999-2009 there were 2.9 million scientific papers published in the USA according to Essential Science Indicators at Thomson Reuters (see infographic). This is considerably more than the next two countries in the top 20 list, Japan and Germany, who each produced a respectable 0.8 million scientific papers. It is also worth mentioning the three countries that just missed the top 20 list: Scotland, Denmark and Israel. These small countries have managed to punch above their weight, producing 0.1 million science papers each over the ten year period. I’m happy for us to “punch above our weight” in things like this.